A new baby is a bundle of joyful tax deductions including the Dependent Exemption and Child Tax Credit: If you’ve just had a child, there will be a wealth of things on your mind. Welcoming a new baby into the world is an exciting time for anyone. Of course, there’s nothing like the birth of your first child to fill you with glee and excitement. However, there may be another feeling bubbling under the surface… dread. If you worry that your finances won’t suffice, you’re not alone at all. The truth is that having and raising a child is one of the most expensive things you will ever undertake. 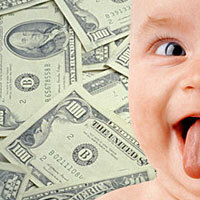 In fact, rather shockingly, the average cost of raising a child in the US is a whopping $250,000. That’s no small change, let me tell you. If you’re looking for ways to relieve the burden just a little, we might have just the thing for you. Here is everything you need to know about your tax options and how you can claim what’s rightfully yours. Before you do anything at all, you need to make sure that you contact your local social security administration office. The (hopefully) helpful staff there should be able to help you register your new child with a social security number. You should know that the IRS will need this number before they will allow you to claim any of your baby tax deductions. Don’t worry! Registering your child with a social security number for your baby is not as hard as you may imagine. The important thing to remember is that the sooner you contact your local office, the sooner you will be able to sort it out. The staff there will be more than happy to help you through the step-by-step process. After all, it’s what they do best. 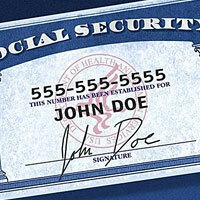 The moment that your child actually has a social security number, you should apply for the Dependent Exemption. This works much like any other tax reduction. That’s to say that it helps you reduce your taxable income in one go. Of course, this is one of the greatest tax benefits that you will be afforded after having a child. So, just how big of a tax credit is the Dependent Exemption? As of today, the dependent exemption amount is $4,050 per child! Wow, that almost makes up for the fact that your dog’s medical expenses aren’t tax deductible! Since your newborn baby is strictly classified as your “dependent”, you are more than entitled to this deduction. (Their dependence on you won’t make up for all the sleep you lose, but, hey… it’s a nice tax deduction!) To apply, you will need to present proof of your identity, your social security number, and that of your child. 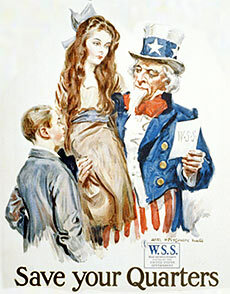 The next thing that you will want to apply for is the child tax credit. Essentially, this benefit just reduces the tax that you owe, which means that you end up paying less than you otherwise would. How much of a tax benefit is it? 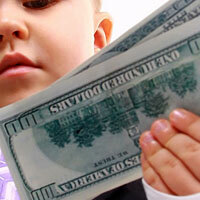 The Child Tax Credit can reduce your taxes by up to $1000 per each qualifying child who is a dependent. Now, if you have an NBA shoe deal this isn’t a life-changing amount of money, but who would want to miss a $1000 deduction? The process is fairly straightforward, but there are a few things that you need to know before you begin. So, what is the criteria for qualifying children? 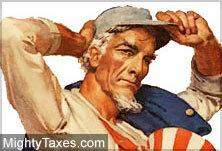 Well, to check your child tax credit eligibility, you will need to hit the following points. Child Tax Credit eligibility – First of all, the child has to be under the age 17, which of course your newborn will be. Child Tax Credit eligibility – You will also have to prove that you provide more than half of the financial support for your child. In theory, all of the above qualifications for the Child Tax Credit should be relatively easy to prove. While the criteria may seem in-depth, most new parents should be able to qualify without any hassle at all. Honestly, the Child Tax Credit is one of the greatest tax benefits of having a baby, and so it’s important that you don’t miss out! The sooner you work out what you can claim, the better it will be for your finances. Finally, there’s just one more thing that’s worth mentioning! There’s just no doubt that every parent wants their child to have the best possible level of education. The mounting cost of school and college fees can sometimes seem impossible. The truth of the matter is that there’s something you can do the moment your child is born. Setting up a 529 savings account means that you can build a tax-free income for the future. You can make deposits as and when you have the spare cash to do so. In that tax year, sadly, the deposits you pay will not be tax-deductible. However, when you take the money out of the account, it will be a tax benefit, providing you are using the cash for qualified education expenses. 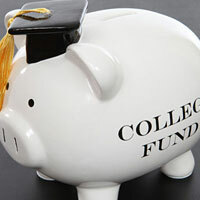 Don’t wait until your child is asking to borrow the car keys to start saving for College. Starting a saving account like the 529 now is a very smart thing to do. Not only will you be saving for the future, but you can be sure that your baby’s education is a guarantee not a maybe! Any decent accountant or tax professional will be well aware of these popular child tax credits, and the top brands of tax prep software will, too. 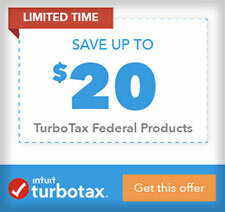 The better “Premium” editions of TurboTax (get a 20% discount) H&R Block (30-50% discount) and TaxAct will definitely prompt you with where to claim these tax deductions. 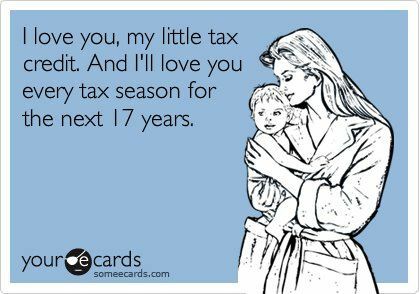 However, if you do have children, skip filing with any free tax software, or the cheap “Basic” versions, as they might miss deductions!